The National Science Foundation is spending roughly $175,000 on an anti-obesity study that involves taking pictures of food before obese people consume it. Purdue University is overseeing the project, which is entitled, "Using Digital Images to Connect Eating Environment with Dietary Quality." 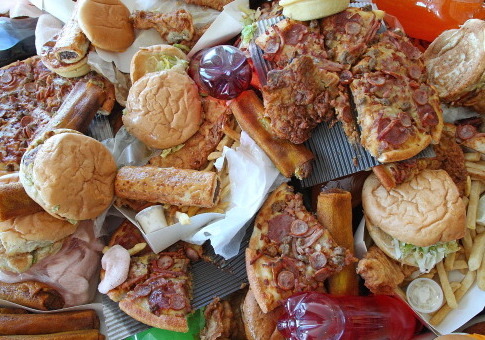 Researchers say the "fundamental question" is "where, how, and when" food is eaten. The premise of the project is to investigate the "link between eating environment and dietary quality." "The project will use images from the food environment to address the fundamental question of where, how, and when food should be consumed to maximize health and prevent disease," the grant states. "Monitoring the personal dietary environment and determination of environmental patterns related to dietary intake can empower both health care providers and patients to optimize evidence-based decisions." "This information can help individuals recognize less healthful behaviors that may be occurring in their lives," the grant states. Purdue University received $174,792 for the study that began this spring. Research is slated to continue through March 2019. The leading researcher on the study, Fengqing Maggie Zhu, an assistant professor of electrical and computer engineering at Purdue, is already working on a computer system called Technology Assisted Dietary Assessment, or "TADA." The system uses a "mobile food record," or camera phone picture of food, and analyzes it before sending it back to the user with motivational messages. "This highly interdisciplinary investigation explores image processing and computer vision techniques to extract and quantify dietary environmental factors and study their connections with dietary intake," the grant states. "The project plans to build informative models of behavioral health profiles that can take advantage of a large set of observed data, including food images and contextual information that the [principal investigator] has access to."